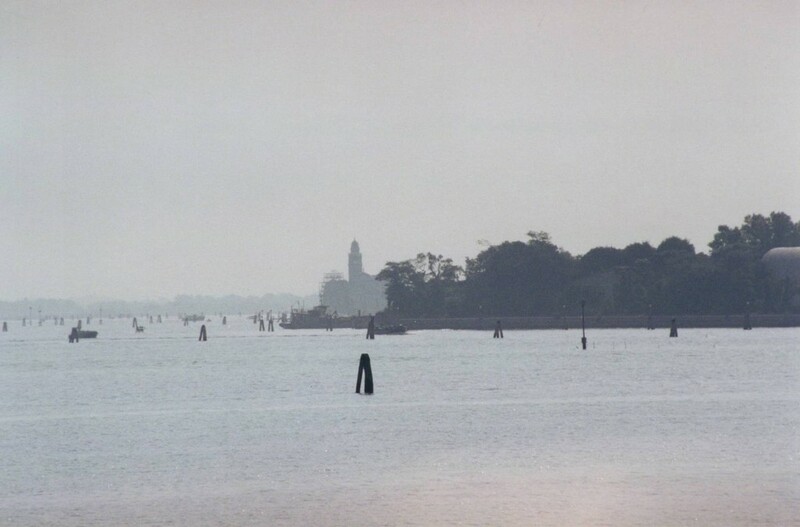 Although we did not much enjoy the night train from Paris, it is magic to come into Venice early in the morning and get a first glimpse through the mist. Just after we arrived, the vaporetti (water buses) started a strike. 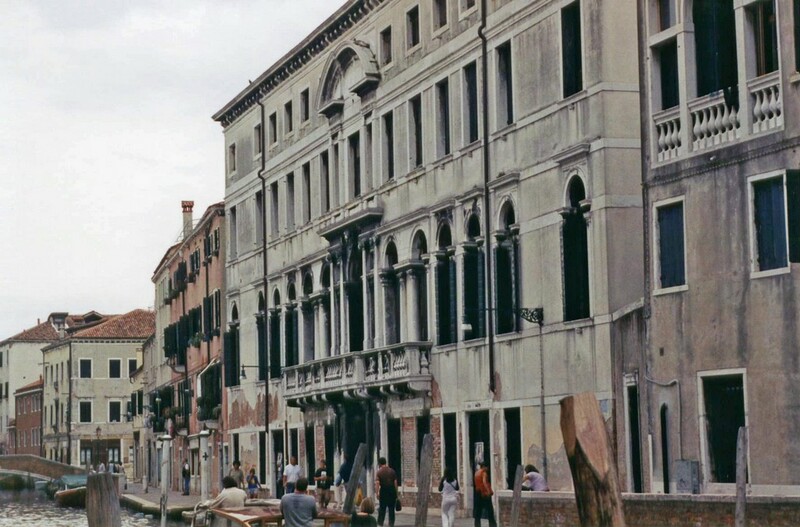 We had to walk a considerable distance, carrying our bags over a number of bridges, to get to our accommodation at Palazzo Zennobio. 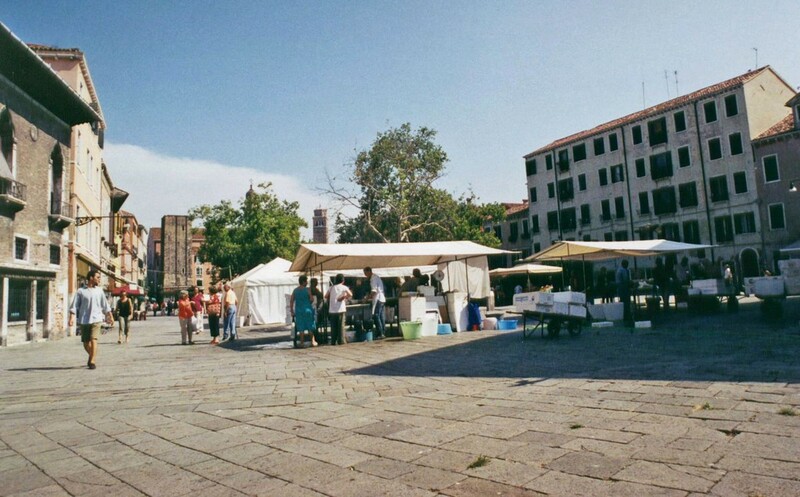 The market in Campo San Margherita, near where we stayed. 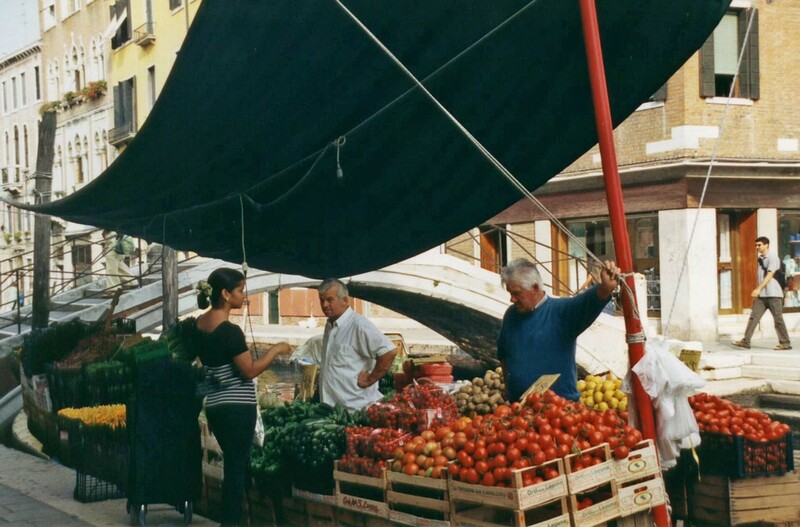 And the floating green-grocer by Campo San Barnaba. 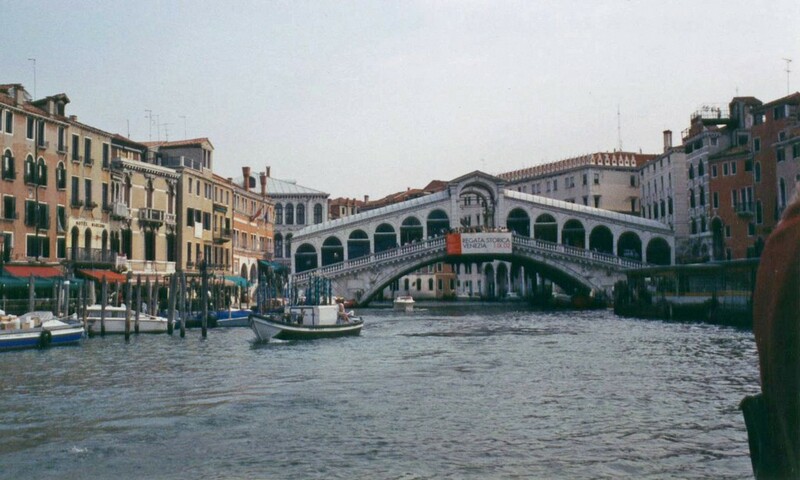 ... and one of the Rialto Bridge. 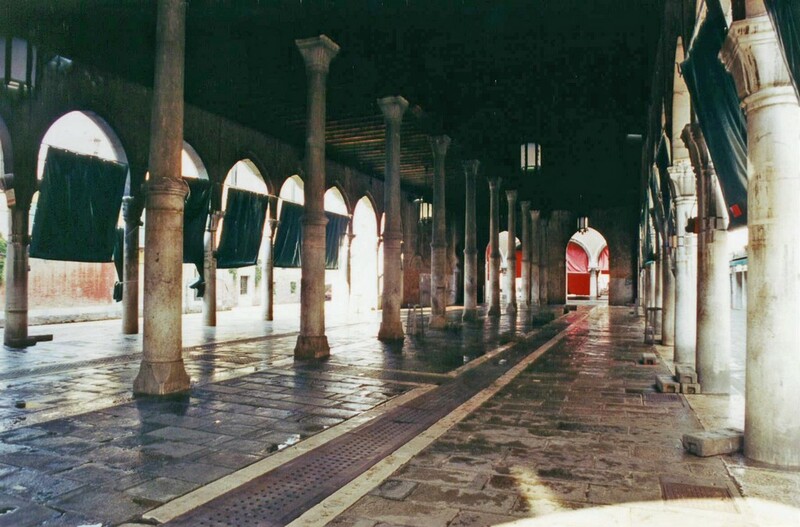 The Rialto Fish Market around lunch-time, after selling has finished and it has been cleaned. 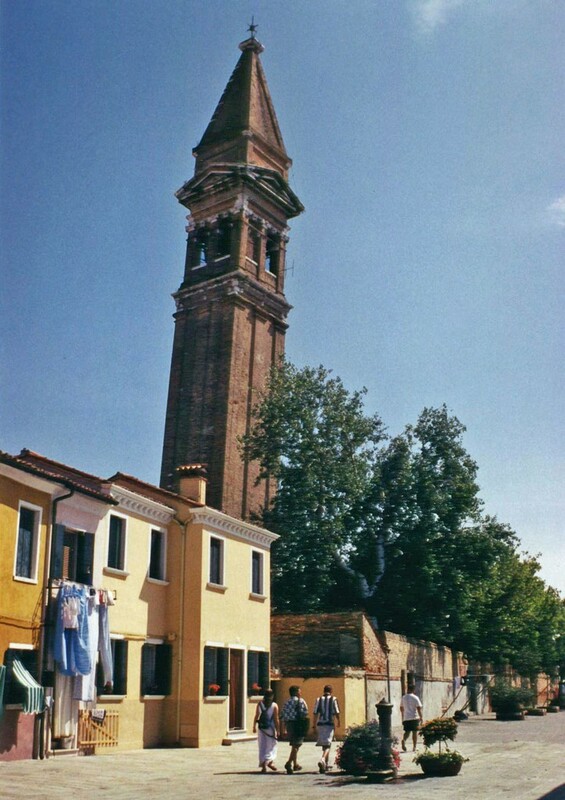 A reminder that Pisa is not the only place with a bell-tower that has problems. 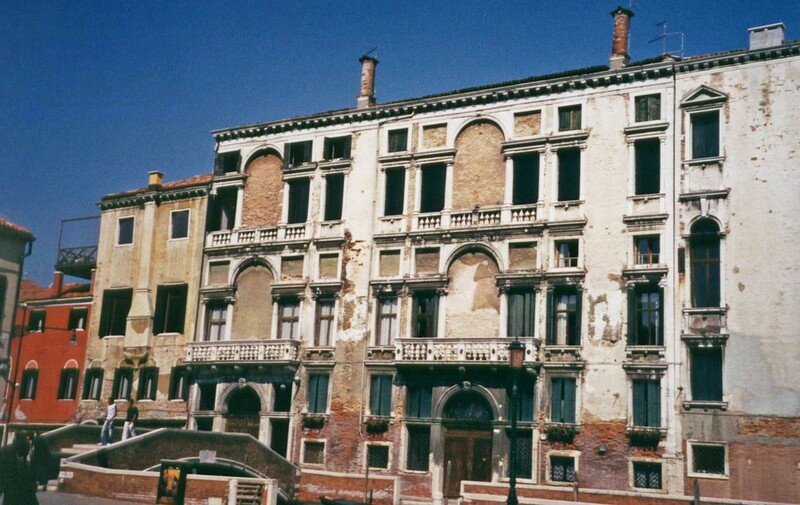 This is on Murano. 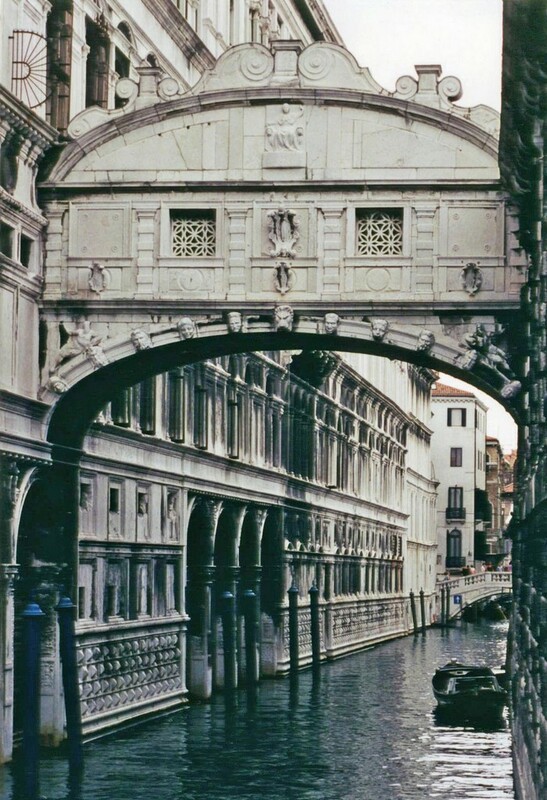 Late afternoon view of the entrance to the Grand Canal. ... even if they often are in need of repair. 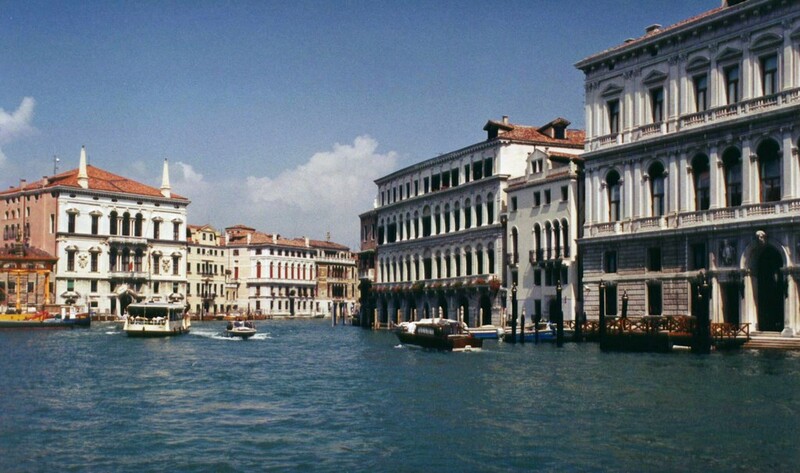 Leaving Venice, we picked up a hire car to spend a week in Tuscany, staying in San Gimignano. Copyright © 2002 by Lynn or Nick Booth.